Presenting the natural line of lipsticks suitable for all skin tones. 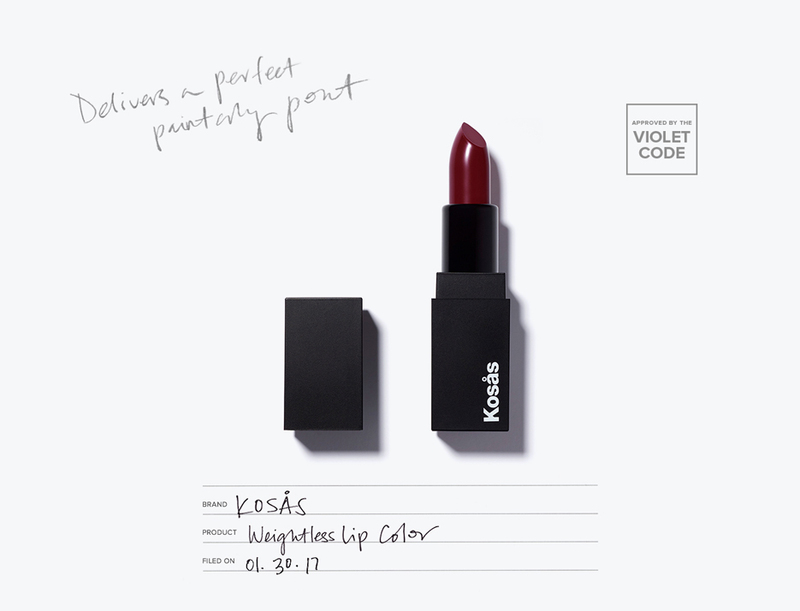 “I create the colors for my lipstick line the same way I would create skin tones for a portrait,” explains Sheena Yaitanes, fine artist and the founder of Kosås Cosmetics. In 2015 Yaitanes launched her edited collection of seven lipsticks, shades she created with the goal of complementing every skin tone. Her background in art (acrylics and charcoal are her media), biology, and organic chemistry (which she studied in college) came together in the line’s perfect marriage of flawless finishes and nourishing ingredients. “Cosmetics formulation is all about organic chemistry,” she says. “Every ingredient serves a purpose. It either lends itself to the sensory experience or enhances the performance. Nothing is by accident.” It’s rare to find a high-powered, all-natural lipstick in bullet form, but Yaitanes aced the formula. Products contain a blend of naturals—including mango seed butter and rosehip seed oil to nourish the lips—and offer a demi-matte finish and buildable color. And about those painterly hues: “The nudes are rich with blues, reds, and ochres, all of which bring the shades to life and make them look like they belong on the face,” Yaitanes says.